Lamb is very popular but is becoming expensive. 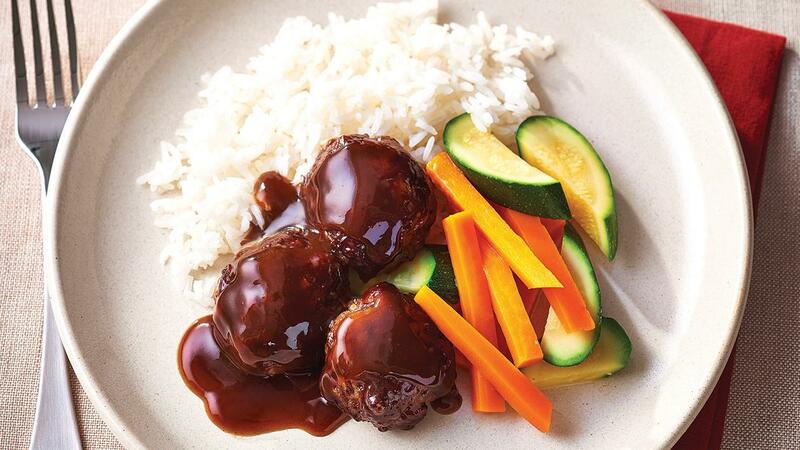 This recipe utilises a cheaper lamb option and combined with a delicious Asian inspired sauce. Combine the lamb mince and onions make 20 x 50 g Rissoles. Combine water,KNORR Sakims Mongolian Sauce and CONTINENTAL Gravy and bring to the boil whilst stirring. Brown the rissoles in the oven at 180 degree Celsius for 15 minutes then pour over the sauce. Continue to braise in the oven for an additional 5 minutes or until cooked through. Serve with steamed rice, carrot and zucchini.